Microsoft has spent over $3 billion to build the infrastructure necessary for its European cloud services and the company will make Azure and Office 365 available from France next year. Beginning next year, Microsoft plans to offer its cloud services - which include Azure and Office 365 - from data centres in France. Microsoft's CEO Satya Nadella noted that over the course of the last year, the company has greatly increased its cloud capacity in Europe. So far it has spent over $3 billion building the infrastructure needed to provide its customers with reliable cloud services. 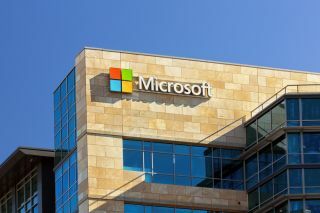 Microsoft will continue to strengthen its cloud efforts by offering Microsoft Azure, Office 365 and Dynamics 365 from multiple data centres located in France. European fears regarding US surveillance have forced Microsoft to build the local infrastructure necessary to power its cloud services in the region. The company hopes that this course of action will assuage those concerned that US law enforcement may request access to the data of its customers stored outside of the US. Microsoft also has pre-existing data centre hubs in the Netherlands and Ireland along with additional data centres in Austria and Finland.